Do you usually just chalk up failures to stick to your healthy eating plan or lose weight to being too busy, not having enough time to cook, lack of will-power, hormone imbalances, genes, or aging? They are disconnected from themselves (their True Self). By that I mean they are out of touch with who they actually are, what they really want and need, and what’s missing in their lives. If you want to connect with your authentic True-Self, I invite you to join the True-Self Slimdown and Brain-Soul Reboot. In just 21 days, you will feel more energized, slimmer, focused, happier and on your way to living your dream life. Learn more here. 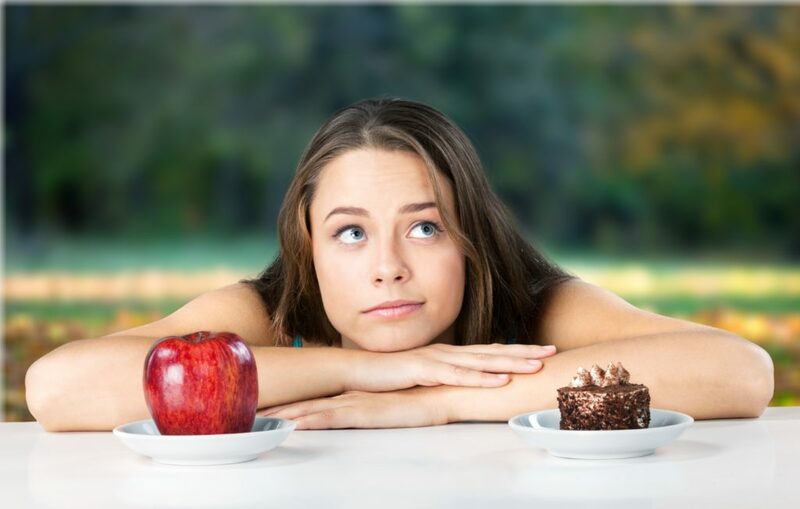 Most women use food to manage their feelings of not being enough, feeling flawed, and/or to avoid looking at situations in their life that are too painful or threatening to really look at, or to find solutions. They often don’t believe they have the courage, strength of character or willpower to take control of their health and life. And, somewhere deep inside themselves, they feel powerless to change. What I’ve discovered both for myself and my clients is that the missing link is being disconnected from their True Self. Your True-Self is not bloated, overweight, tired, flawed, weak or powerless. It is whole, perfect and complete. When you understand this, you can own your value and step into your true power. But, all of these characteristics of your true nature only work when you can let go of all the negative conditioning from childhood (and beyond) that have led to your negative and false thoughts and beliefs about who you are. Underneath all that negative conditioning lies your True-Self. You are made in the image of your Creator—You are wired for love, and your cells are made of pure light at their center (all proven by science). I invite you to join me in the True-Self Slimdown and Brain-Soul Reboot that begins next week, January 28, 2019. Let me help you make 2019 your best year yet! The year you finally start knowing, accepting and loving yourself just as you are. I hope this week you will increase your self-care because self-care is really soul-care. That way you will become more connected to your True Self.